PokerNews will live report this weekend's @HPTPoker @HollywoodIND $1,100 Main Event. 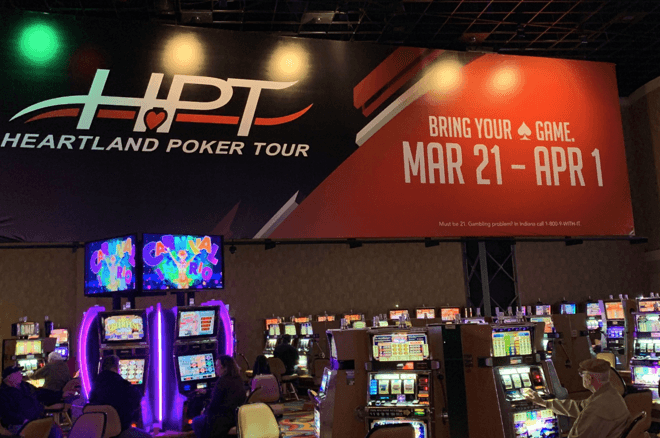 Season XV of the Heartland Poker Tour (HPT) continues this week at Hollywood Casino Lawrenceburg outside of Cincinnati, Ohio. The stop features an $1,100 buy-in Main Event this weekend that will be live reported right here on PokerNews. That Main Event kicks off with Day 1a on Thursday, March 28 at 2 p.m. local time. Players will start with 30,000 in chips and play 40-minute levels. Day 1b will take place at the same time on Friday, March 29, while Day 1c will take place at noon on Saturday, March 30. The surviving players from all three flights will return for Day 2 action at 11 a.m. on Sunday. The final table will then be live-streamed at noon on Monday, April 1. The stop actually kicked off last weekend with Event #1: $300 Monster Stack, which crushed its $75K GTD by drawing 685 runners and creating a $174,675 prize pool. Among those to cash the tournament were Derrick Rose (27th - $1,100), Jeremy Pistor (13th - $1,904), Thomas Mayer (5th - $7,983), and Cameron Douglas (3rd - $15,633). 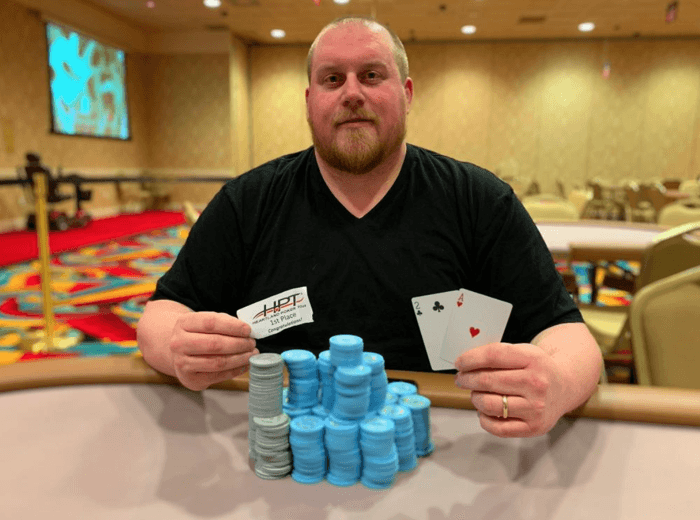 In the end, Adam Bacon defeated Marvin Tuckett in heads-up play to win the title and $38,189 top prize. In Event #2: $300 Seniors (50+), the final five players struck a deal which ultimately resulted in David “The Maven” Gutfreund coming out on top to win $6,541 in prize money. PokerNews and the HPT plan to continue their live reporting relationship for stops throughout 2019. Those include visits to The Meadows Racetrack and Casino in Pittsburgh and Ameristar East Chicago. Here’s a look at the current Season XV schedule with more stops expected to be announced in the near future. For more information, visit hptpoker.com and follow them on Twitter @HPTPoker.